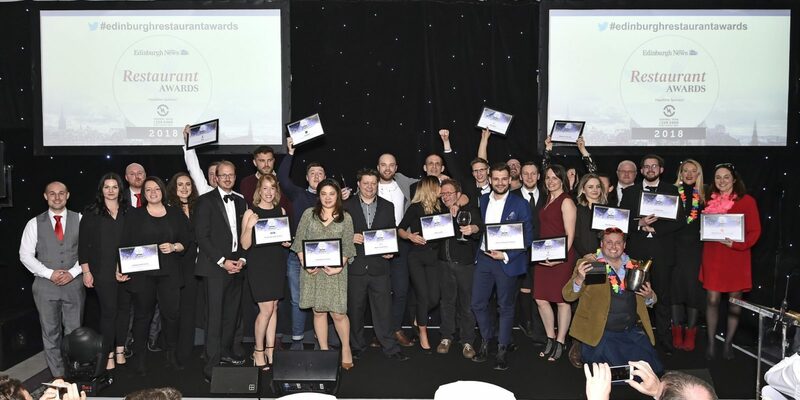 Central Taxis were delighted to be the headline sponsors Evening News Edinburgh Restaurant Awards held on the 7th May at the Principal George Hotel. Edinburgh is renowned for it’s exciting food scene, there are more restaurants per head than any other cities in the UK. The city also have the highest Michelin – starred restaurants in Scotland gaining it’s first in 2001. This is the first Restaurant Award held in Edinburgh and it gave the public an opportunity to nominate and vote for their favourite eateries in the City. There were various categories ranging from Best Chef to Hidden Gem, you can see the full list of winners here. Central Taxis Chairman, Tony Kenmuir said recognising local restaurants and the calibre of the local food scene is essential.